Support A Cause with These Unique Lanyards. 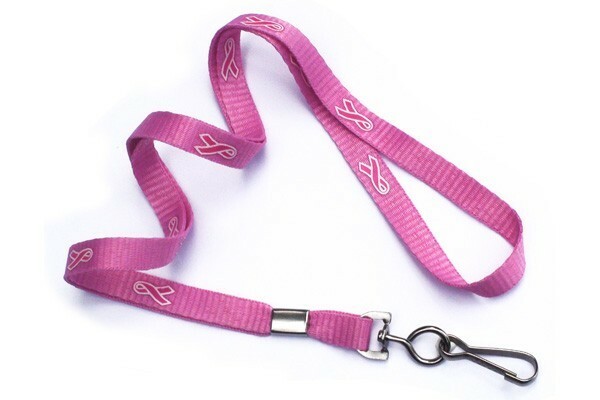 Pink Ribbon 3/8" (10 mm) Lanyard with Nickel-Plated Steel Swivel Hook. 36" (914 mm) Cut Length Prior To Assembly. Pink Lanyard Comes Pre Printed With The Breast Cancer Awareness Ribbon And Swivel Hook. A Percentage Of All Proceeds Will Be Donated To The National Breast Cancer Foundation, Inc.